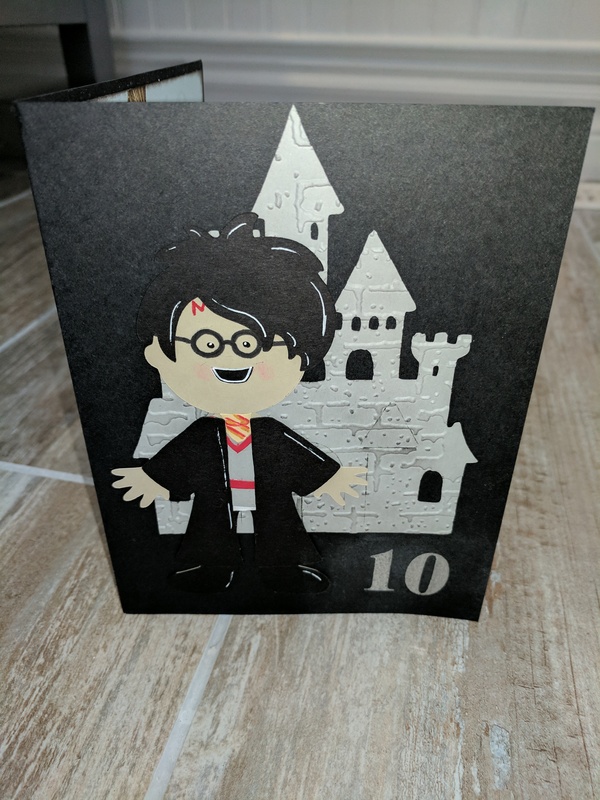 Our Nephew will be ten! So our Nephew will be ten in the next couple weeks which seems crazy. So I know he’s been reading Harry Potter so that’s the them I’ve choosen. 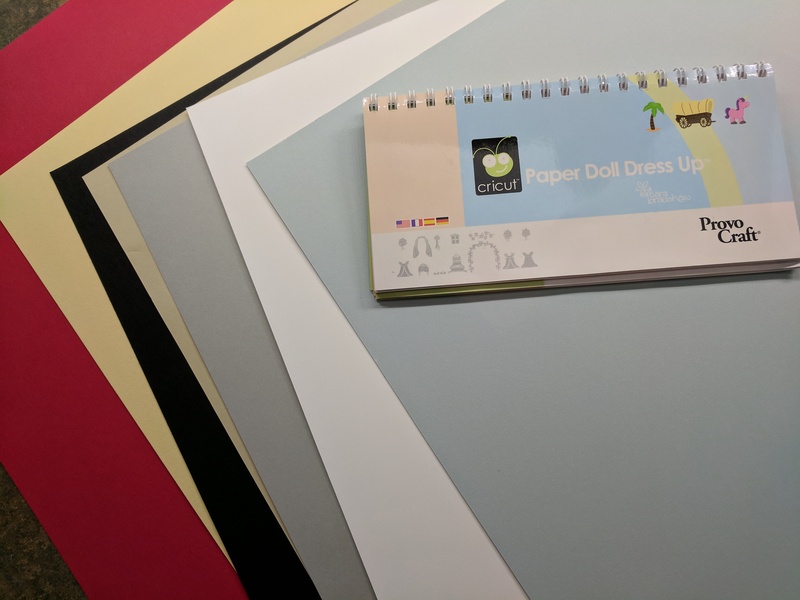 I began by selecting the colors of paper I wanted to incorporate and then choose my Paper Doll Cricut cartridge. 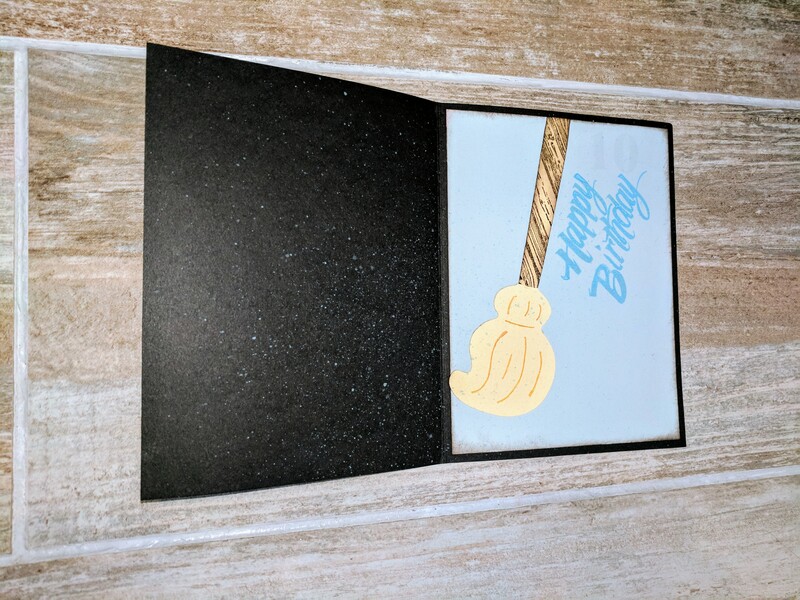 I used a black base and it’s a larger card they I normally do. 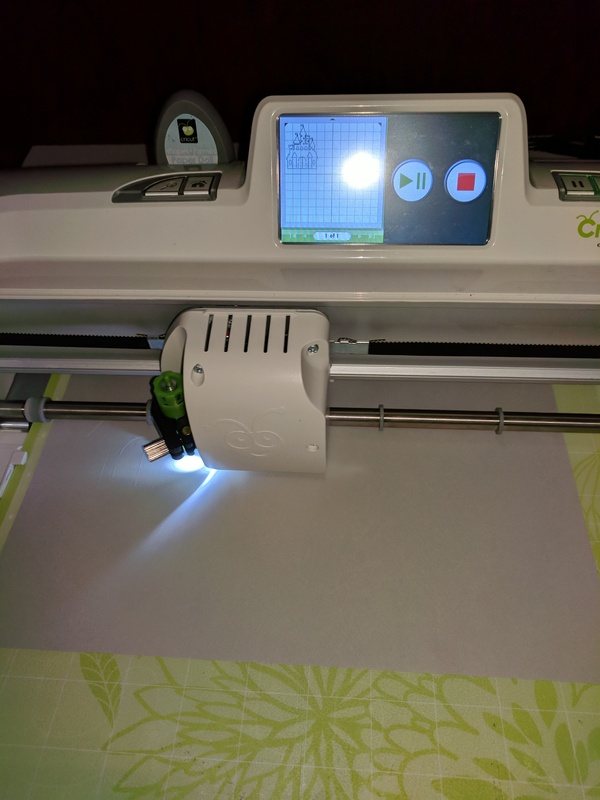 I turned on my Cricut…I feel a little sorry for him shut up in the closet rarely getting use. I love the machine and really should put it to better use. 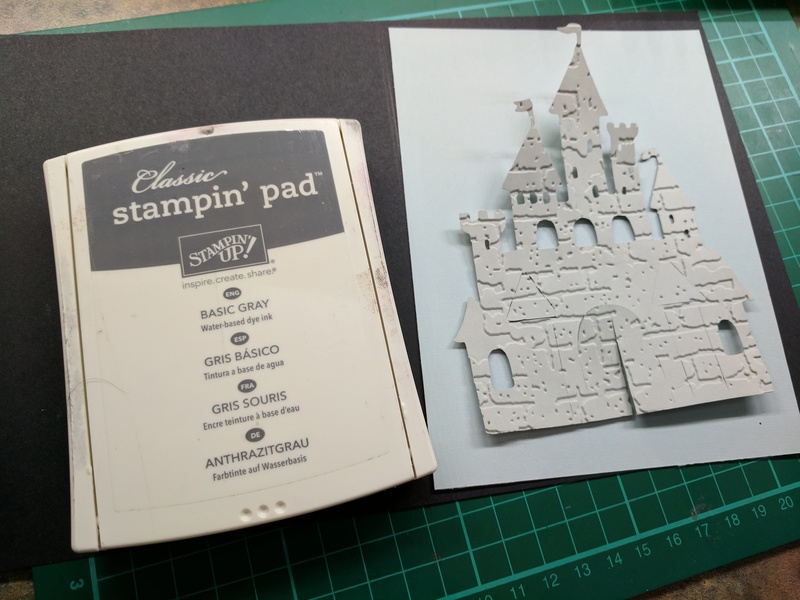 First I cut a castle in grey and then it looked a little plain so I embossed it with a brick embossing folder. I then sponged on some Basic Grey ink and it gave it more depth. I also removed the flags with sissors just to make it look more like Hogwarts. I was originally going to use a blue background but changed my mind and wend directly on the black card. I created a Potterish looking fellow with the same cartridge and I’m pretty happy with how he turned out. 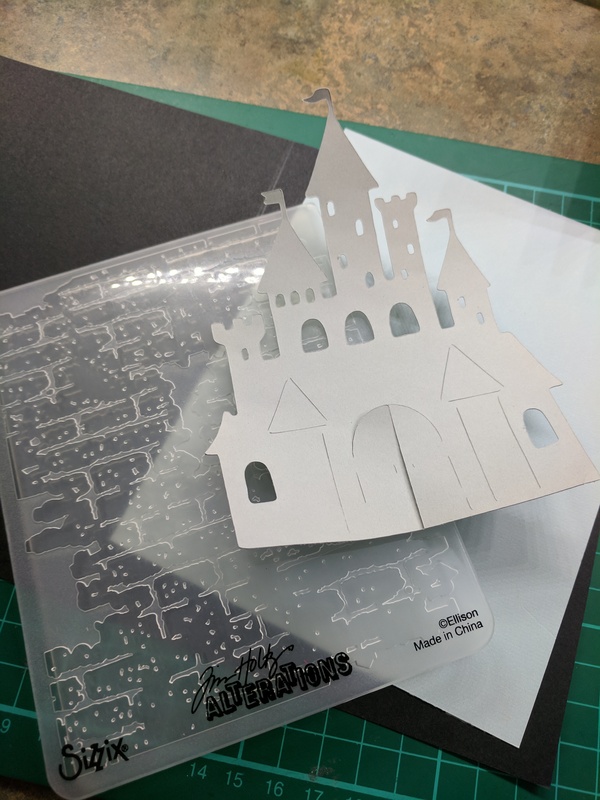 I stuck down the castle with glue and put Harry on top…if I was not putting it in the mail I would have used foam tape to pop him up. 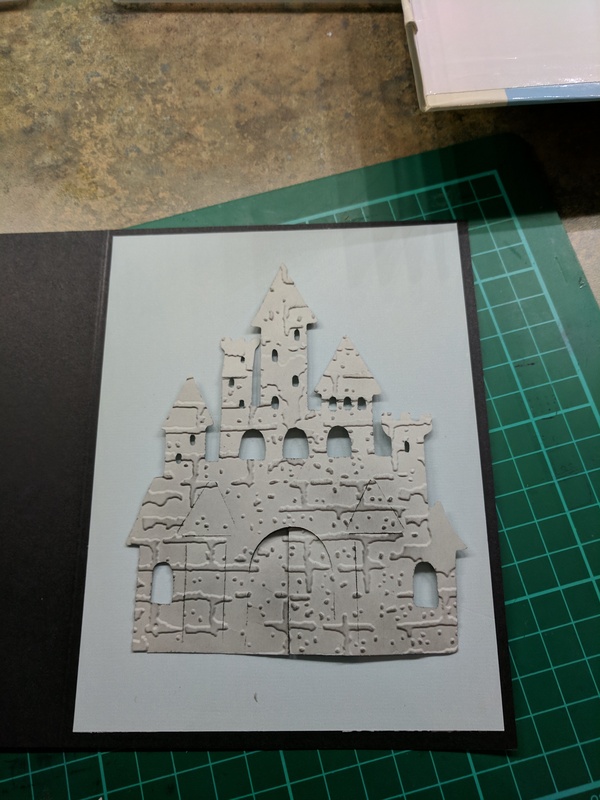 I went on to emboss the number ten on the front in silver and moved on to finish the inside of the card. I cut a broom and stamped the handle with a wood grain stamp from stamping up. 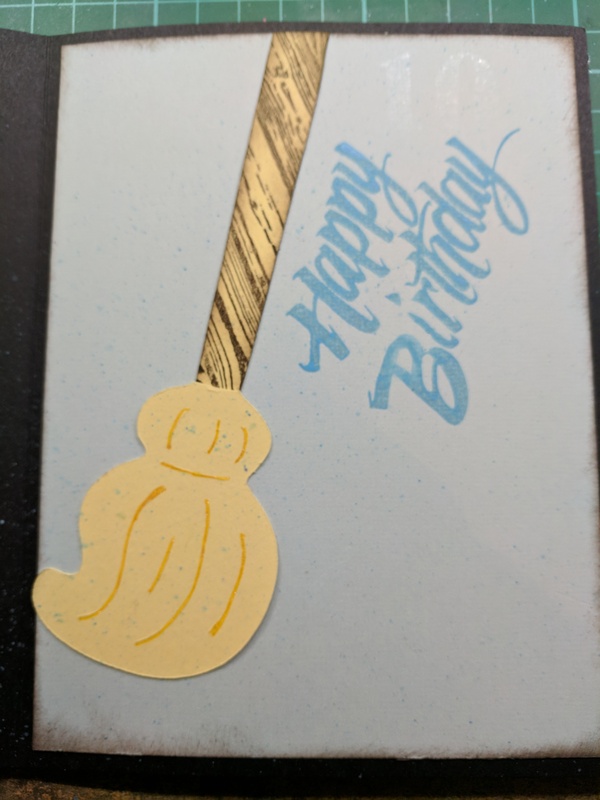 I put inside and stamped Happy Birthday on an angle in Broken China distress ink and used a water pen to splash the whole inside with a little of the same. I also added the ten in versa mark on top but it’s hard to see in the photo. 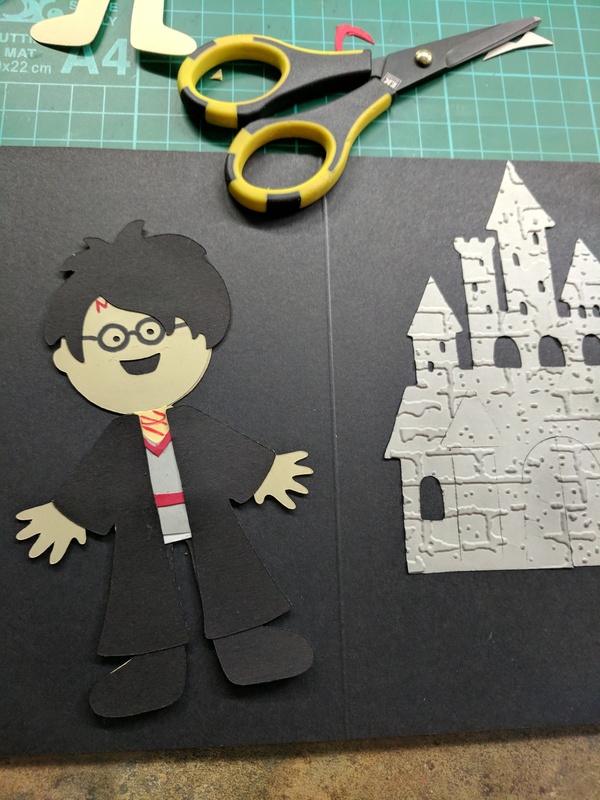 It was a fun card over all to make and he likes it. Now to remember to get it in the mail in time! Thank you for taking the time to view. I’m hoping to get the You tube channel up and running soon. Enjoy your day!